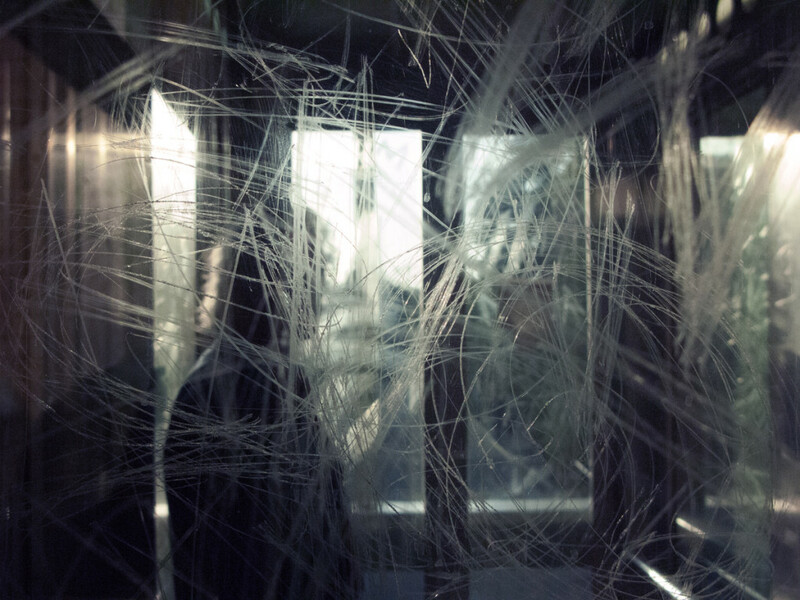 I failed uncountable times in taking a photo of these. 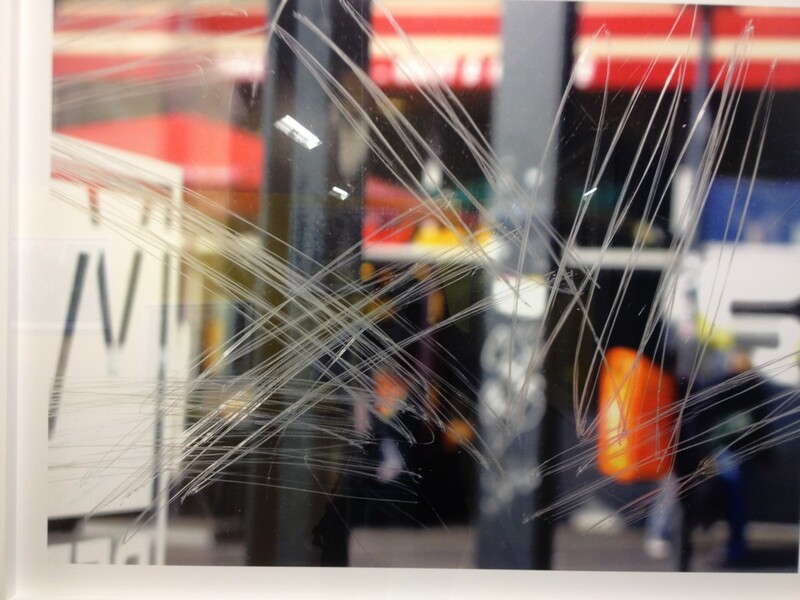 But Dominique Auerbacher’s photos are the proof that it is possible. 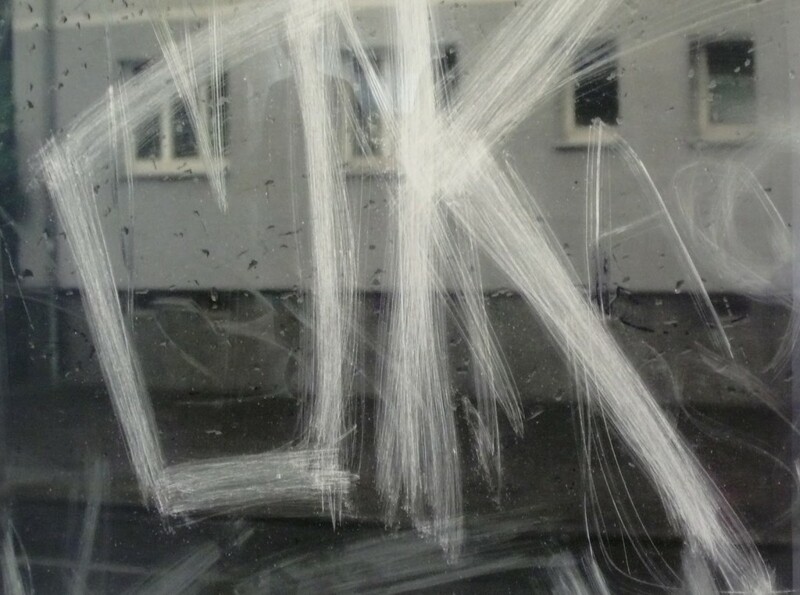 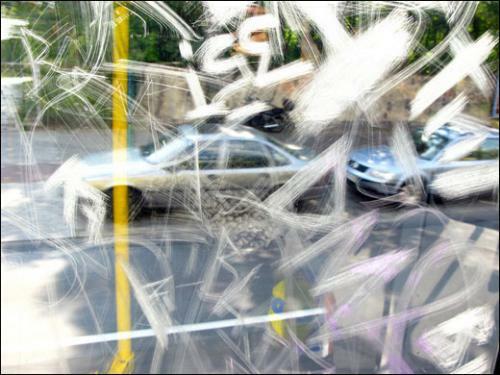 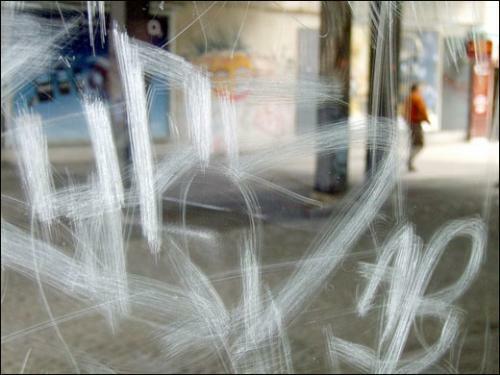 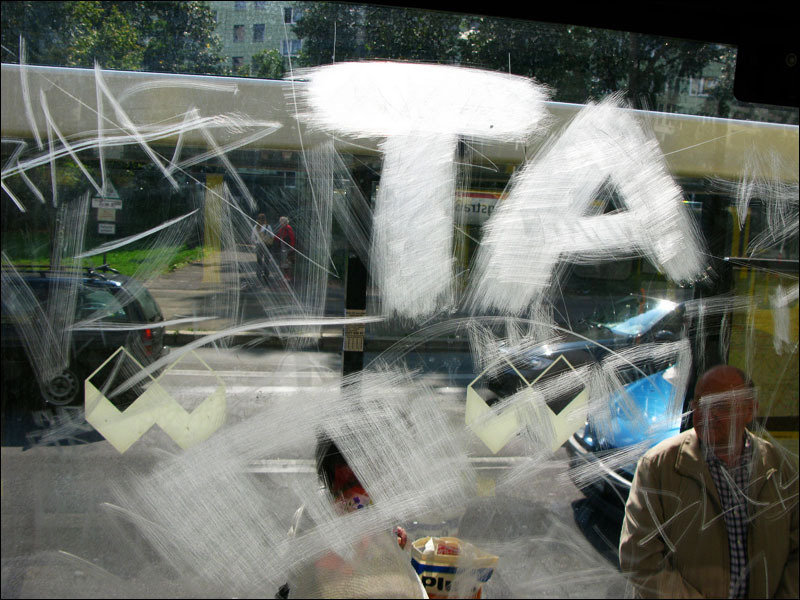 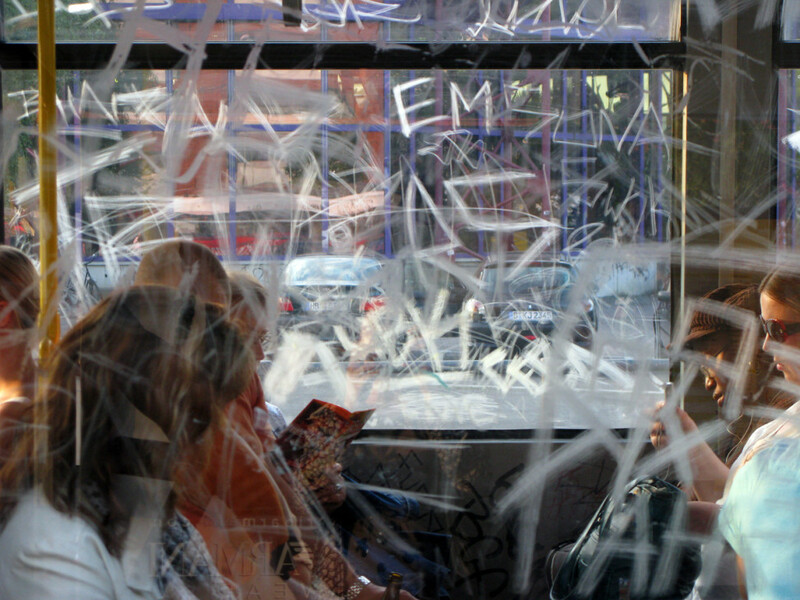 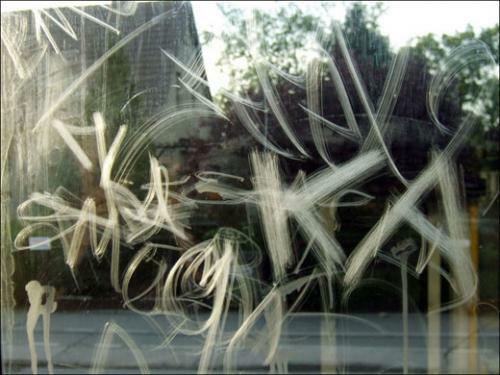 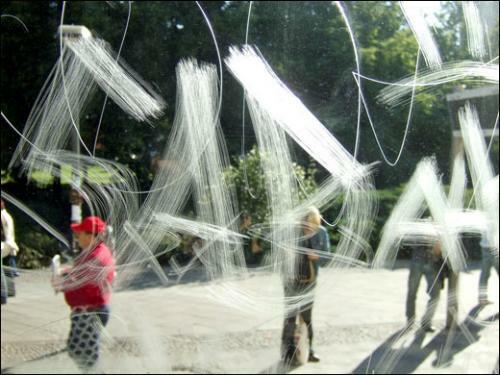 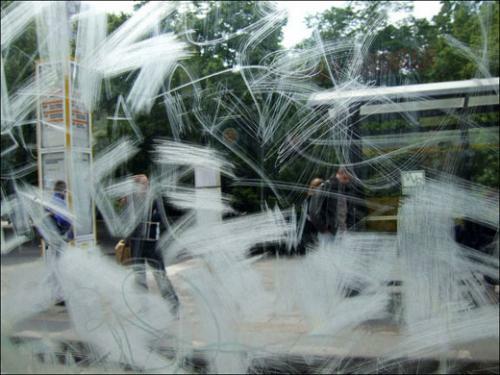 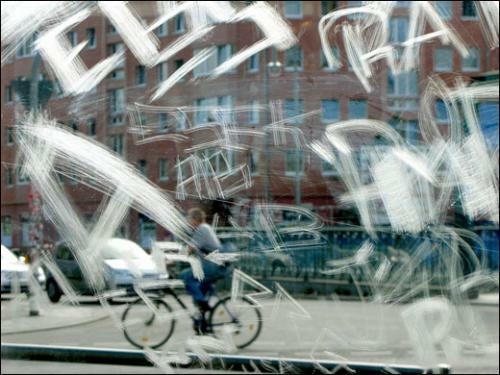 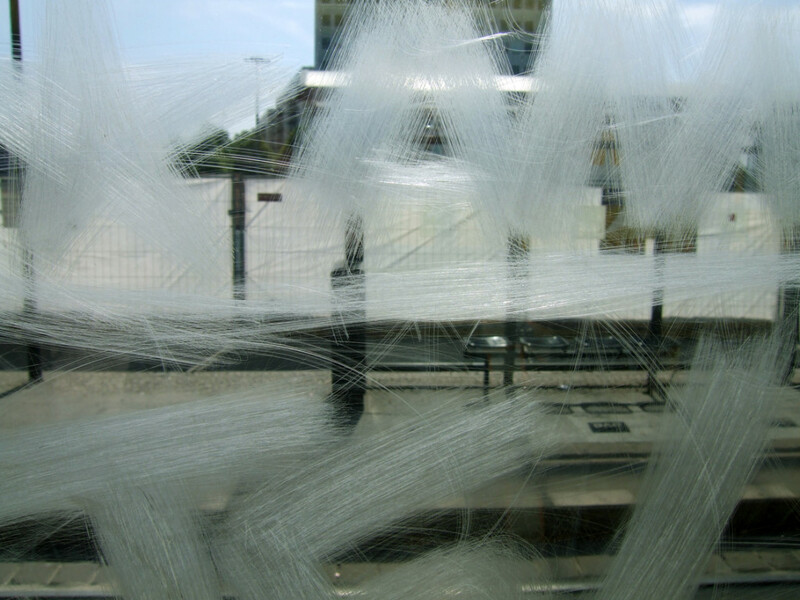 In her series “Scratches” (2007–2009) she documented the “agressive vitality [vitalité agressive]” of the scratched windows of Berlin’s public transportation. 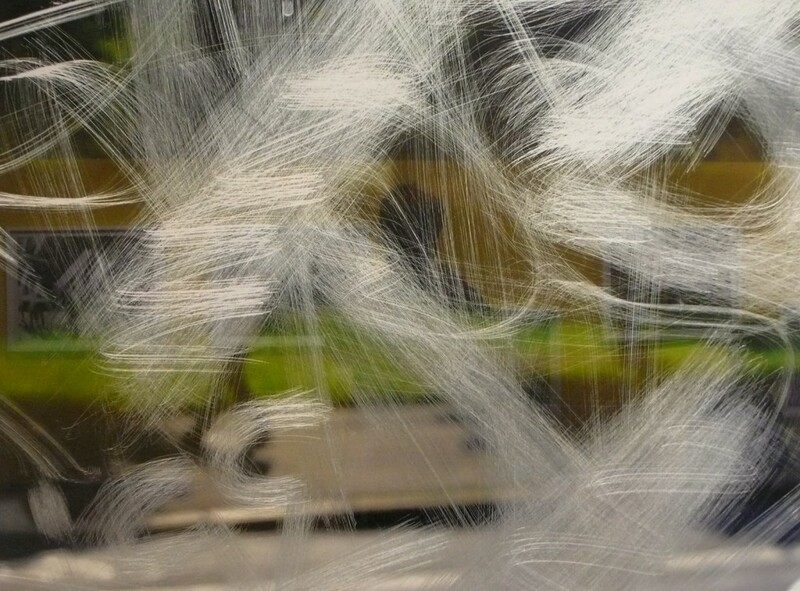 A selection of her more than 100 photos was exhibited in the Maison européenne de la photography in Paris in 2012 and at the Atelierhaus auf Bötzow in Berlin in 2014.